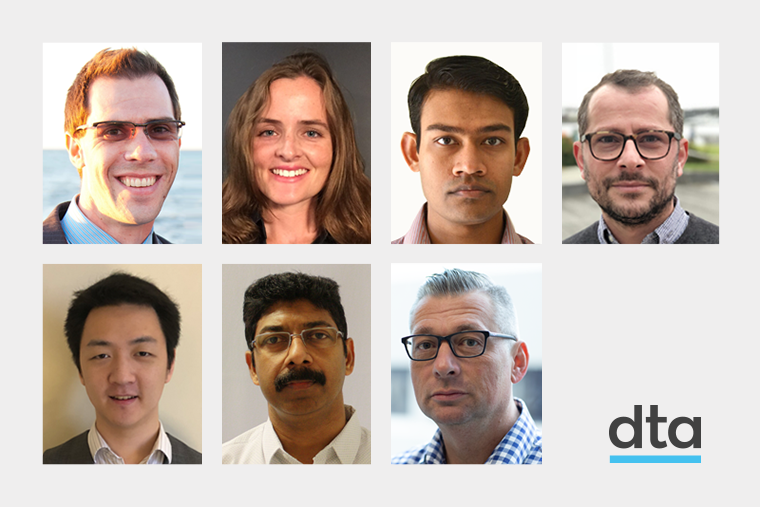 Seven more data specialists are taking up our highly coveted three-month fellowship placements. They’ll develop solutions to data-related problems and help to improve government services. We’re pleased to announce our second round of data fellows for 2017–18. We’ve picked seven talented people to take part in three-month placements under our Data Fellowship Program. We’ve awarded the fellowships to high-performing data specialists in the Australian Public Service. During their placements they work with the CSIRO’s data-innovation group Data61 and will develop solutions for data-related problems or opportunities. The fellowships give public service staff the chance to step outside their day jobs and create prototypes that improve or completely redesign our approach to real-life problems. Participants come from a variety of government agencies. These fellowships give them access to mentoring, skills development and new and emerging technologies and techniques. Todd is looking at how to use text analytics to help identify insights and risks in prudential supervisory reviews of insurance companies’ financial condition reports. He’s also looking at identifying efficiencies and compiling an overview of the industry to assist supervisors. Rakhesh is developing techniques to automate the way agricultural land uses are mapped at a national scale. His project will also improve methods for building the Land Use of Australia data series for understanding current and long-term changes in Australian land use. He’s doing this by developing advanced geospatial data-analysis and modelling techniques. These techniques will combine satellite-derived information and various national datasets. Patrick’s project will provide data about the way government agencies buy products and services and the sellers they buy from. He’s using longitudinal network analysis to look at datasets held by AusTender, the website where many contract details are posted. This analysis will show the effects policy changes have on forming networks between government agencies and sellers. Gabriella is using machine learning to help the Clean Energy Regulator (CER) detect non-compliance in its regulatory schemes. She’s developing a process for the Small-Scale Renewable Energy Scheme to help the CER to use its resources more efficiently and strengthen the integrity of Australia’s Renewable Energy Target. Dipangkar is developing an empirical model for identifying and targeting potential non-compliance biosecurity risks at Australian airports. His model will help to find risk patterns and identify international travellers who carry a higher biosecurity risk. Daniel is developing machine-learning models to improve the quality and efficiency of the address register held by the Australian Bureau of Statistics. He’ll use machine-learning algorithms to automate decisions that currently need people to carry them out and are resource-intensive. Jack is building a simulation model that will replicate the day-to-day telephone activities of the Department of Human Services. He plans to show information including customer wait times, number of transferred calls, busy signals, level of staff occupancy and more. Jack’s model will enable his team to answer important business questions with more confidence than ever before. Find out more about our Data Fellowship Program.